FireAwards.com is your source for both stock and custom Firefighter Badges, Law Enforcement Badges, Emergency Medical Badges and accessories for any public safety professional.� We can provide police and fire departments as well as security agencies with the highest quality badge designs made in the United States. Our badges are custom-made to your specification and can include custom seals and logos, cloisonn� enamels and a variety fine finishes.� Badges from FireAwards.com are USA Made and Guaranteed for Life. You may create and order your custom Fire, EMS, Police, or security badge with our VISUAL BADGE section below. FireAwards.com requires proper ID showing that the purchaser of Law Enforcement related badges are authorized to do so. 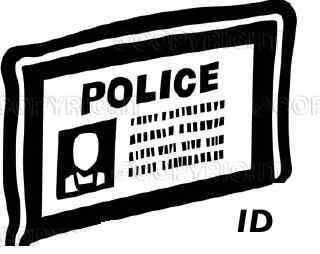 For State and Local law enforcement, a department ID which includes the name of the purchaser must be faxed to us at 732-563-0434. We may also accept a letter on department letterhead stating the person placing the order is authorized to purchase a badge representing the department and signed by a superior officer. We reserve the right to verify all submitted ID. We also reserve the right to refuse any other badge that we suspect may be ordered by an un-authorized person, and to request identification for any order. Any badge that refers to Law Enforcement, including but not limited to Police, Officer, Sheriff, Trooper, Marshal, Constable, Highway Patrol, District Attorney, Judge, Parole, Probation, Peace Officer, Corrections, and Patrolman. Any badge that refers to Schools, including but not limited to Campus Security, School Guard, Truant Officer, and University Security. Any badge with a Federal Seal is restricted and can only be shipped directly to the department they are issued for. An official letter of authorization must sent in to us and will be verified by our staff. If verification is required for your order we will notify you with instructions on what is required. Once we receive the verification and authorization you will be notified that your badge is in production. Typical requirements are faxed or mailed copies of identification and authorization letters. If you can not provide verification of identity that shows you have the right to purchase and or use the badge you ordered, we will cancel the order. This policy is taken seriously for the safety of all. Please call 1-866-842-9273 if there are any questions.